Depending on your dog's breed, there are a number of unique health concerns to be wary of. One often overlooked condition that can plague dogs of any size is canine diabetes. It's very similar to the human counterpart and affects 1 out of every 200 dogs. Essentially, the condition affects the pancreas. As a result, your dog can't produce enough insulin to keep up with the amount of glucose in the body. This can lead to hyperglycemia, or excess glucose. Canine diabetes can affect your dog for a number of reasons. It's more prominent in certain breeds and age groups. 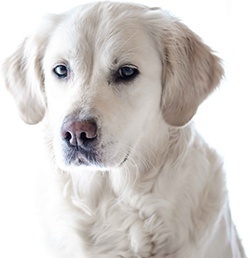 Some dogs are even predisposed to the condition due to genetics. It can also be caused by a poor diet. If left untreated, diabetes can lead to a host of further complications, so it's important that you be proactive with your dog's health. As an owner, it's your responsibility to supply your canine companion with a proper diet. Diabetes is not a death sentence. Dogs can live a completely healthy life as long as they have the support and nutrition they need. Here are some of the best foods for diabetic dogs. 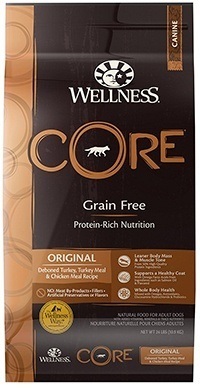 This dog food from Wellness Core is designed to provide your dog with plenty of protein. It contains healthy amounts of turkey and chicken to give your dog fuel to thrive. What makes the food great for diabetic dogs is its absence of unhealthy fillers. There are no harmful carbohydrates like corn or soy. It's also free of artificial additives and questionable meat byproducts. 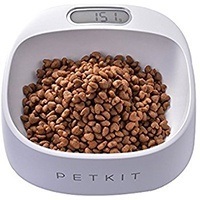 Instead, the kibble is chock full of antioxidants, nutrients, and probiotics. The inclusion of spinach, kale, sweet potatoes, and other forms of fiber help to keep glucose levels in check. 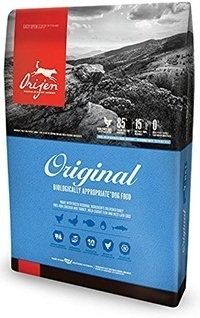 This food from Orijen is a healthy choice for diabetic dogs because of its simplicity. It's limited in ingredients while providing a bevy of nutrients for your dog. The most prominent ingredient is protein. In fact, protein makes up 38% of the formula. This protein comes from wholesome turkey, chicken, fish, and eggs. When it comes to carbohydrates, the manufacturers went with options that have a low glycemic index. They take up only 20% of the formula. There are no grains whatsoever. The dog food also contains plenty of fiber in the form of kale, spinach, whole pumpkin, and much more. 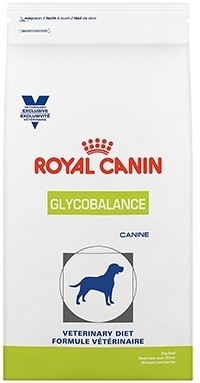 From Royal Canin is this beneficial dog food specifically designed to help dogs with a variety of health issues. It's a veterinary diet formula that has an overall low glycemic index. It contains complex carbohydrates to control your dog's blood sugar levels. There's also a low amount of fat. It utilizes natural chicken fat and fish oil. The fish oil contains Omega fatty acids that can help improve your dog's immune system while nourishing their skin and coat. There's also a blend of different fibers to slow down glucose conversion and help with digestive issues. 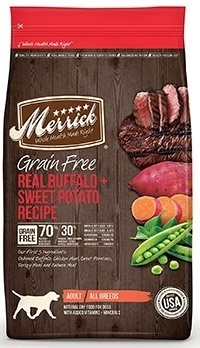 The grain-free formula from Merrick is full of great ingredients to keep your diabetic dog healthy. As the name implies, it doesn't contain grains. It's also free of simple carbs and fillers like corn and soy. Instead, it's made up of high-quality protein sources. The ingredients include buffalo, chicken, salmon, and turkey. Complex carbs like sweet potatoes and peas are included. The dry kibble also contains Omega fatty acids, glucosamine, and chondroitin for additional health benefits. Overall, the food is designed to give your dog the protein it needs without many additional fillers. 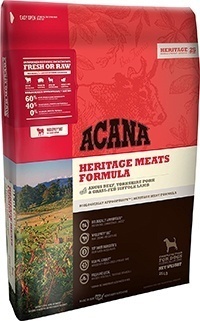 With high levels of protein and very little carbohydrates, this dog food is a great option. The protein makes up an impressive 60% of the formula. That's nearly double the amount that standard dog foods have. This protein comes from a combination of Angus beef, Yorkshire pork, and Grass-fed lamb. These sources include not only the meat but also the organs and cartilage to provide your pooch with plenty of nutrients. The carbohydrates in the formula include peas and pinto beans. To help slow down glucose conversion, there's also a collection of fibrous vegetables like kelp and greens. Changing your dog's diet and sticking with a healthy routine is only half the battle. There are a few other steps to take to ensure that your dog can live a healthy life. One of the most important things to do is to stay on top of their glucose levels. You need to monitor blood sugar levels on a regular basis. One of the most accurate ways to test your dog's blood sugar levels is through their blood. This is the same method that veterinarians use in their office. Products like the AlphaTRAK 2 Blood Glucose Monitoring System can make quick work of the process and provide you with accurate information you can use to keep your dog healthy. The system contains a lancing device with 30 lancets and the blood glucose meter. It also includes 25 glucose testing strips. The meter will display accurate information about your dog's blood on the large LCD display. There are no color blocks or long wait times like traditional testing strips. The device gives you the information you need fast and in a way that's easy to understand. It's relatively easy to operate and comes with a carrying case so that you can monitor on the go. You'll first need to get a blood sample from your dog's ear flap. Calm your dog down and have them sit still or lay down. Warm up your dog's ear for a moment to increase blood flow and ensure that you can get an adequate sample. Then, choose a clean and hairless portion of your dog's ear and use a lancet to make a small cut. Collect the blood that appears with a glucose test strip and insert it into the monitoring device. To stop the bleeding, apply firm pressure on the area with clean cotton. The monitoring device will analyze the blood and display the concentration of glucose. Diabetic dogs should have blood sugar levels between 100–250 mg/dL depending on their size. It's a common misconception that you need to forgo treats altogether once your dog is diagnosed with diabetes. Truth is, treats are an important part of your dog's diet. 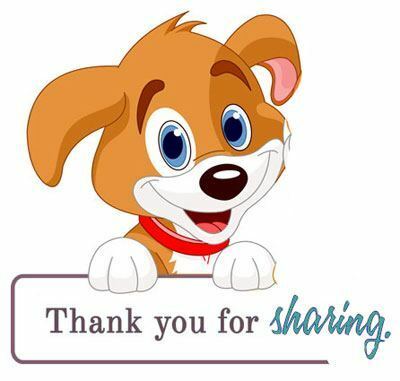 Treats are something your canine companion enjoys and looks forward to, so there's no need to deprive them of it. With that being said, you need to take the treats into consideration when planning their diet. Stay away from high-calorie treats and switch to a healthier alternative. 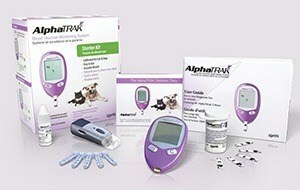 Here's a great option for diabetic dogs. This dog treat contains a number of healthy herbs, vegetables, and fruits. It's completely organic and utilizes ingredients that can help to reduce your dog's blood sugar levels. Overall, the treats can help to manage your dog's condition. There's also a healthy dose of fiber to help slow down the rate of glucose metabolism. Some of the ingredients include rolled oats, apples, alfalfa, kelp, and much more. It's also free of harmful chemical additives. 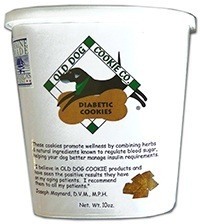 At only 10 calories per treat, it's a delicious and healthy solution for dogs with diabetes. The key to keeping your diabetic pooch healthy is to change up their diet. It's more important than ever to scrutinize the ingredients list to ensure that you're not feeding your dog something that can worsen their condition. Because your dog is at a higher risk for obesity and spikes in glucose levels, you need to tweak their diet accordingly. Here are some things to consider. The first thing you should be changing about your dog's diet is the amount of food they're consuming. This is especially important if your dog suffers from Type II diabetes, which is commonly caused by obesity. It's important to monitor your dog's activity and calorie intake to prevent additional weight gain. It's a good idea to visit a veterinarian to get a better idea of how many calories your dog will need to stay healthy. In most cases, you'll need to cut back on the portion size. The goal is to match their daily activity levels with a number of calories they're consuming to create a suitable deficit that allows them to lose weight. Fiber is found in a variety of different ingredients. Common fiber ingredients include oats, pumpkin, sweet potato, and a variety of different leafy greens. Fiber is important because it takes up more room in the digestive tract. Once it's consumed, it will expand in the body. As a result, your dog will feel fuller for much longer without the added calories. More importantly, fiber helps to slow down the rate in which glucose is released into the blood stream. This slower rate will give your dog's body plenty of time to process it. The issue with diabetes is that the dog's pancreas has issues creating insulin, which is responsible for processing the glucose. Too much at one time will lead to dangerous spikes. Fiber makes it easy to manage your dog's glucose levels safely. Fat is typically a healthy ingredient to have in dog foods. However, it can be detrimental for dogs with diabetes. Fat contains more calories per ounce than other ingredients. This calorie density can cause weight gain without making your dog feel satisfied. Furthermore, fat typically contains higher levels of glucose. Too much fat can cause hyperglycemia and number of dangerous side effects. The glycemic index refers the rate in which food is converted to glucose. It's often represented as a number. A lower number indicates that the food takes longer to convert and process. Different ingredients contain different glycemic index ratings. Many manufacturers will indicate the overall rating. Diabetic dogs need a l﻿﻿o﻿﻿w glycemic index to remain healthy. You should avoid adding any additional sugar into their diet and stick with ingredients that can be processed easily throughout the day. Carbohydrates are found in most dog foods. They're available in many different forms and provide numerous benefits depending on the particular type of carbohydrates. It should be noted that not all carbohydrates are made the same. Complex carbohydrates process much slower in the body and contain essential nutrients and vitamins your dog needs to thrive. These include sweet potatoes, peas, brown rice, and much more. Simple carbs can be very dangerous for a diabetic dog. These include cheap fillers like corn and soy. They contain high levels of sugar that are processed relatively quickly after consumption. They're known to cause dangerous glucose spikes. When you're looking for the right dog food for your pooch, make sure to pay attention to the quality of the carbs and how much the overall formula contains. If the first ingredient listed is a carbohydrate, the dog food will not be good for your diabetic dog. Healthy complex carbohydrates should be found further down on the list. The lower it is on the list, the less of it the formula contains. Overall, you should be decreasing your dog's intake of carbohydrates to avoid sugar spikes. You should always avoid providing artificial ingredients to your dog. Harmful ingredients like chemical additives can do more harm than good. This applies to any dog. Because you need to help your diabetic dog maintain healthy body functions, it's even more important to avoid them. It's important to stick with wholesome ingredients that are rich in nutrients. The dog food should support your furry friend's health and supplement their needs. When it comes to protein, go with foods that contain an identifiable source as the first ingredient. These can include anything from chicken, turkey, beef, fish, and much more. Meat meals are also acceptable. Protein sour﻿ces to avoid include byproducts and those that don't have a specific animal source listed. A healthy mix of fruits and vegetables is also recommended. Wholesome plant-based ingredients can supply your dog with the nutrients and vitamins they need to thrive. They can keep your dog healthy and keep other bodily functions going strong. Many fruits also contain antioxidants to help improve the immune system. With a bit of extra monitoring and planning, your dog can live a long and healthy life. Diabetes is a serious condition if left untreated. However, you can help to support your dog's health by providing them with the nutrition they need and by avoiding foods that can cause harm.